New date and new format for 2019! Event information will be available soon. For more information please contact the pro-shop at 920-876-2833. Tee times are approximate. Men's Club 2-person 6-6-6 event. Team will play 6 holes of best ball, 6 holes of alternate shot and 6 holes of scramble. Tee times are approximate. 2nd Annual Men's Club Member-Guest. 2-person event. Tee times are approximate. Men's Club annual Scotch Doubles. Teams of men and women can be husband/wife, brother/sister, friends or any other combination that would enjoy a round of golf under slight duress:) Event includes sandwiches after golf in the clubhouse. Tee times are approximate. 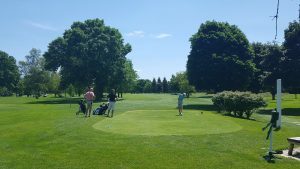 Men's Club 2-person event. Tee times are approximate. This is a 2-person, alternate shot tournament. Sponsored by Larry's Distributing and Michelob, this is an event you don't want to miss. Tee times are approximate. 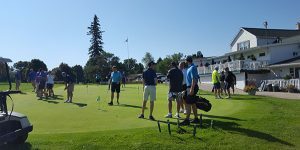 This Men's Club event honors Carl Wiese. 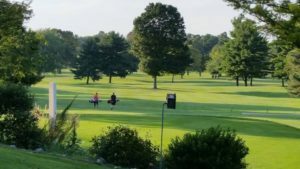 4-person team event, includes prizes for low gross, low net, skins, and course prizes. Cocktail party and awards follows golf. Tee times are approximate. The Men's Club President picks the format for this event. Tee times are approximate. This is the last big Men's Club event of the year. Tee times are approximate. The Men's Club ode to fall. 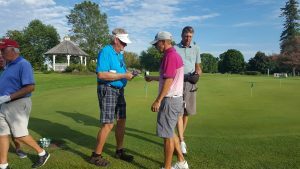 An 18-hole event where the prizes are gift certificates to Miesfeld's Market. Tee times are approximate.